Hi there, Esteemed Reader. I hope your holidays were as merry and bright as mine were. All of 2016 lies ahead of us, fresh and clean and ready for us to make of it what we will, but don't get suckered into an expensive gym membership this year unless you're actually going to use it (jogging is free). You may remember I finished up last year with a popular Author: Year One post about my experiences my first year as a published author. Now a year older and wiser, I thought I'd share with you what I learned in 2015, and maybe next year we'll do this again. An elder family member once told me to buy a jug when I got married and for the first year, toss a quarter in every time the missus and I did "it." I'm aware this blog is mostly about children's fiction, but this post very much isn't, so stay with me:) For every year after the first we should take a quarter out upon "it-ing." Her theory was that we'd never again see the bottom of the jug. Cynical, but a concise and memorable metaphor. I think that if I added all the blog posts I've written after the first year against the many posts I published hot and heavy when this blog was new and full of possibilities, there would probably be more posts published since, but it would be close. When I started this blog I wasn't also publishing books and raising a toddler. It's not that I don't love this blog, but by necessity our relationship has changed. I don't have time to write endless reviews or relentlessly hunt new interviews. 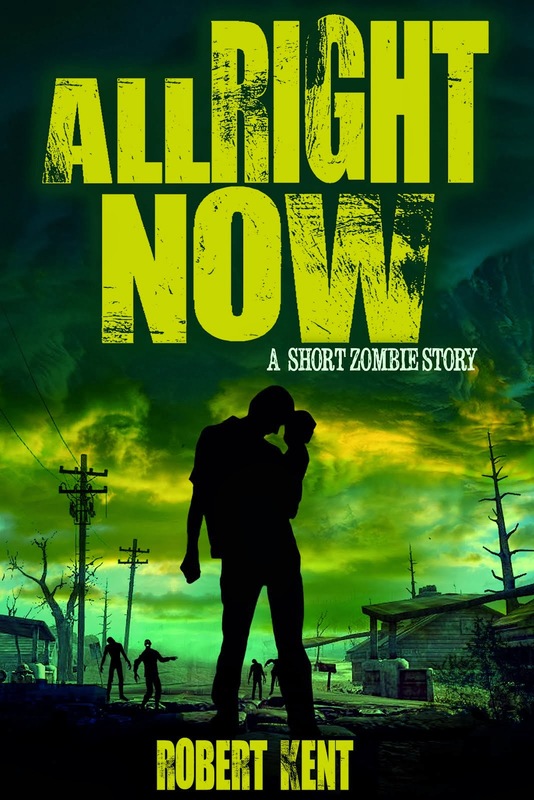 On the upside, now, in addition to getting blog posts, you get the occasional book:) And it's not like this blog didn't feature multiple killer guest posts and interviews in 2015. Did you see my most candid interview ever with Hugh Howey in July? If you didn't, you should totally read it instead of this post. I hope 2015 has done all right by you. It's been one of the most stressful and at times most frustrating, but also one of the best years of my life. I didn't publish any books in 2015, but I've got a new one coming in 2016 I'm very excited about. The Book of David is taking more time than past projects, but I'm in a race only against myself and I'd rather publish right than fast. It's also longer than Banneker Bones and the Giant Robot Bees and All Together Now combined and its the most ambitious and challenging thing I've ever written. I'm both ecstatic and terrified at the prospect of publishing it. I believe every author has their own natural pace for production. I'm aware some authors publish 12 books a year, but I would posit many of those books read as though they were written in a month, and the author only sells me one book when they could've sold me multiple books if they'd taken the time to do it right. There are authors who can produce a novel of impeccable quality in a short period of time (not nearly as many as think they can), I just don't happen to be one of them. I'm plodding and slow and a big believer in revisions, which is often where I find the truest version of my story. Publishing novels myself rather than handing them off to my agent to submit in no way alleviates my responsibility to polish my work until it shines and is worthy of Esteemed Reader's time and money. I have more responsibility than ever. In addition to my invaluable critique group, I now employ four professional editors, because it's my name on the cover and it matters to me that Esteemed Reader finds my book to be of at least the same quality if not superior to other books available, whether they're traditionally published or not. The flip-side of the writer who writes too fast is the writer who is too precious about his work. I'm closer to this side of the spectrum. If you're spending an entire day debating a single word or comma, you might try writing something as well:) Overthinking your work is sometimes a way to stall, so I set and keep deadlines for myself. This keeps me honest. Sometimes a book takes extra time because there's more work to be done, and sometimes it's because its author was playing video games instead of working:) But oh my God, have you played Arkham Knight or Just Cause 3!?! I say if there's one more novel I could've written but I didn't get to experience those games, it wouldn't be worth it, and I'm usually pretty good about writing first, then reading, then playing (all work and no play makes Ninja a dull boy). 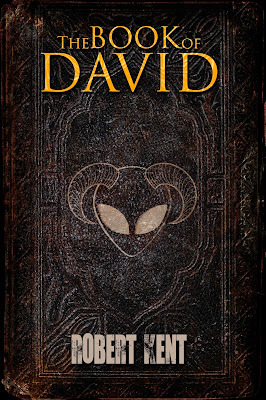 There will be plenty of posts about The Book of David in the coming year, including another of my obnoxiously smug afterwords.Today, however, I don't want to discuss the book so much--you can't read it yet anyway--as the process that led to its creation. After putting out 4 ebooks, 2 print books, and 3 audiobooks during the same 12 month period as Mrs. Ninja giving birth to our first child, I was perhaps understandably exhausted. 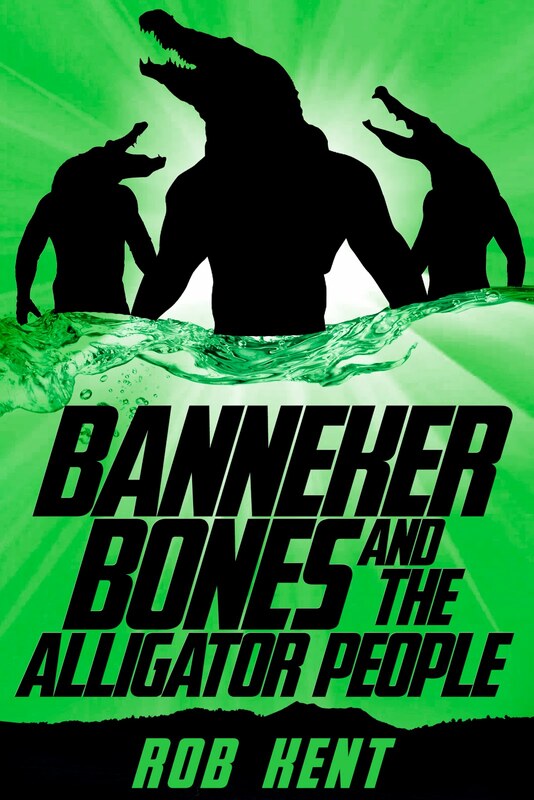 I took a month off to recharge, then got to work on Banneker Bones 2. But it was slow going. 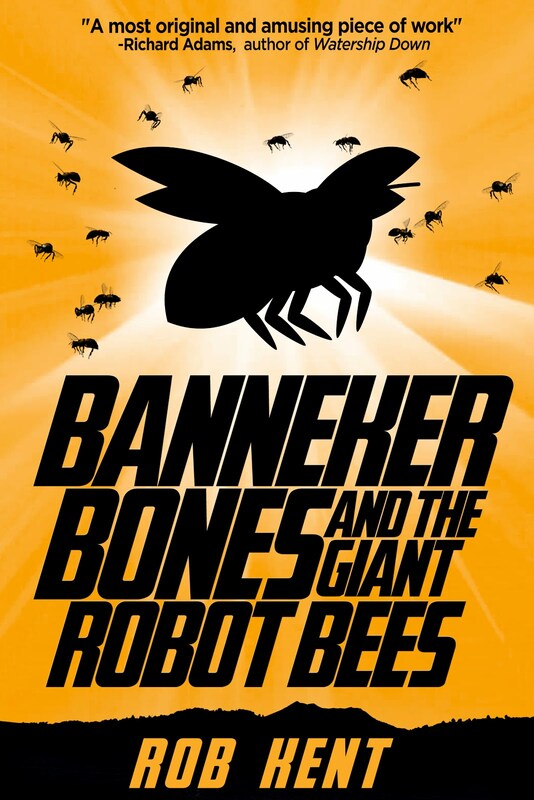 Banneker Bones and the Giant Robot Bees was the hardest of my existing books to write and publish and it cost the most to produce and so far, it's sold the fewest copies. It's also my favorite, so I regret nothing. 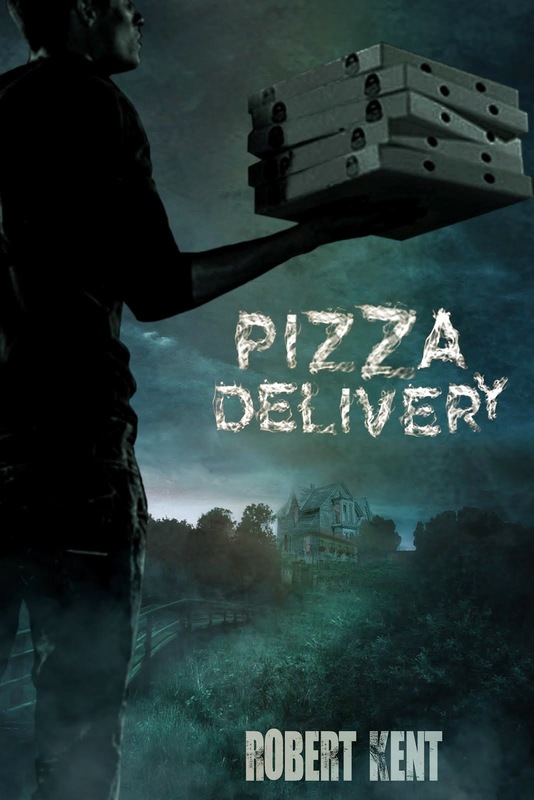 Middle grade books are more difficult to promote independently, not that I'm going to let that stop me from publishing Banneker 2, but I'm glad I also published Pizza Delivery and All Right Now. Horror readers have proven easier to find and market to, and they like me, they really like me, so much so that they write me occasionally to ask for more scary stuff, and like, offer to pay additional money for more. Remember, I'm now a publisher as well as an author and the business part of my brain knew that Banneker 2 should be demoted to a project of my heart. 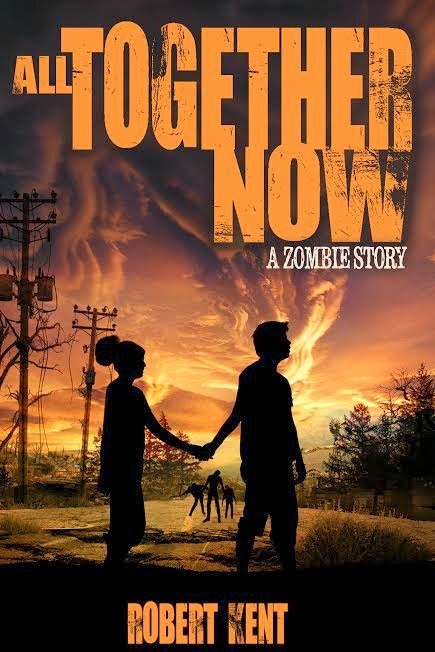 I spent some time on Zombies 3 (I'll get back to it), but I really needed a break from the walking dead and a change in venue, so I started exploring other types of horror stories. I re-read Stephen King's wonderful Danse Macabre and his breakdown of The Amityville Horror as a story of economic woe really captured my imagination. After all, Mrs. Ninja and I bought our first house this year and I knew exactly what kind of new homeowner fears King was talking about (we've replaced our roof and just about everything else, and it has been an economically terrifying experience). While diligently searching for an idea, I was struck with one. I had an idea for a variation on the classic haunted house story that made me laugh in the same wicked oh-I'm-going-to-get-in-so-much-trouble-but-it's-sooo-worth-it way I laughed when I realized what happened to the folks at New Life Christian Church in All Together Now. If you want to know how I executed on my idea, you'll have to read my serialized novel (chapter one should be available in the spring), but what I find interesting about my idea for the purposes of this post is how I came up with it. There exists within every artist the tension between a desire for pure artistic expression and the demands of the market. This is an internal struggle each writer must resolve for themselves on each and every project. I know I have demons I need to exorcise (metaphorical--don't get excited), which is why I write horror in the first place and they're going to come out no matter what I do, so I try to plan for them and give them room to run. All Right Now didn't just happen to star a brand-new father uncertain of his ability to care for his child. 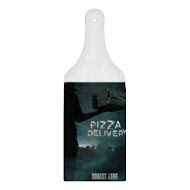 I wrote the original, unpublished version of Pizza Delivery at a time I was delivering pizzas. I find setting parameters to be enabling of creativity. If I can do anything, it's difficult to come up with an idea, but as soon as I say my idea must be for a horror story, preferably one I can break up to publish as a serial, and it must be geared toward adults, I can come up with a lot of variations to fit that criteria. And it's worth noting that I didn't establish the criteria. Esteemed Reader did. 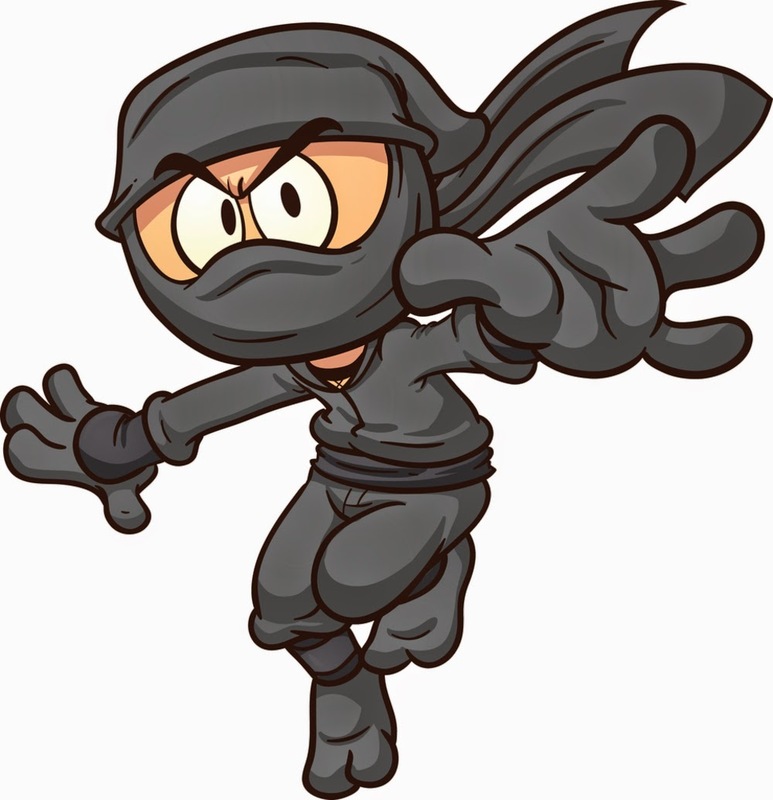 I would never write a book SOLELY because I think its what the market wants--that's a sure path to hackdom and unhappiness. 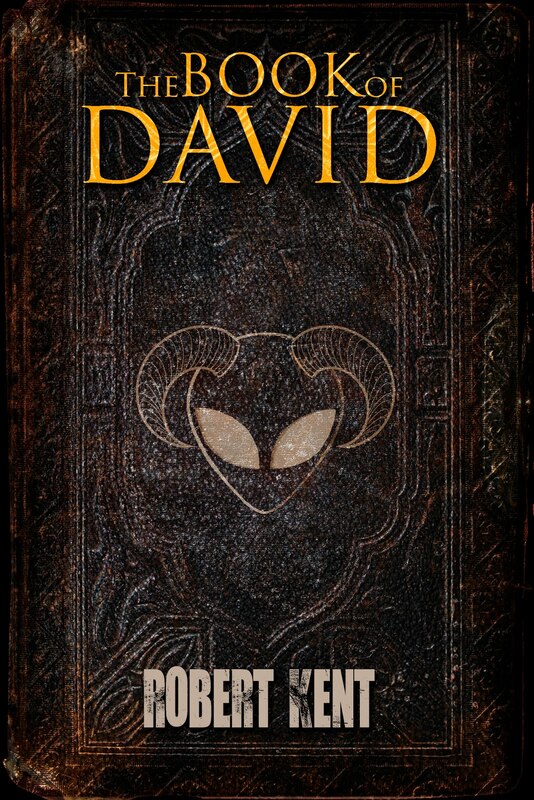 The Book of David is a novel I love and creating it is absolutely fulfilling me as an artist. But I want Esteemed Reader to enjoy it, so I've been listening to their feedback on my other books and I've crafted this new tale with their likes and dislikes in mind. I know most of my Esteemed Readers have been adults and they like the naughty language of Pizza Delivery, so there are F-bombs (the subject of a future post on my blog about children's fiction) throughout The Book of David. And the book is stronger for them. The set-up and much of the plot of The Book of David are very much adherent to genre expectations. I've been rewriting the book's official description repeatedly as I write the actual book and I commissioned Steven Novak's fabulous cover 2/5ths of the way through my first draft. From day one, I've been consciously creating a product to be marketed, which I feel has helped me maintain focus. I see emerging in myself a confident author as all the work I did between panic attacks that I was doing it wrong is beginning to pay off. I was invited to speak at a few events in 2015, I'm teaching a class on publishing in 2016, and readers, (actual readers!!!) have come up to meet me and approached me with a bit of that hello-special-author-person-who-wrote-that book-I-like-so-much manner I've previously only seen fellow writer friends approached with. It's like sunshine falling fresh on my face and I soak it up while feigning false modesty, then I change my son's diaper and take out the trash and remember I'm just another dude who occasionally gets to dress up and pretend to be a special author person. And then there are days like a Saturday last fall in which my closest friends in the world, the YA Cannibals, came to my home (where my wife sleeps and my child plays with his toys!) and sat around my table for 4.5 hours tearing my manuscript and a piece of my heart to bloody shreds. Afterward, I raked up all the leaves in my yard and lifted weights to keep from falling into a never-ending depression sleep. Don't get me wrong. I love the Cannibals and I so appreciate they're making time to critique my work and help me make it so much better than it could ever be without them. I'll take their criticism when I can still do rewrites ahead of one-star reviews from paying customers all day everyday. And to be fair, I have no doubt I've driven some of them to drink with my "tough love" for their books. We're a writing family. It's what we do. They confirmed for me that parts of the story are working as well as I hoped they would and helped me cultivate a plan to fix what isn't working. What I found particularly vexing as I took notes on their input is that many of their suggestions were nearly identical to suggestions made for previous manuscripts. I have consistent blind spots in my rough draft writing so that I need to be retold with each and every new story not to make the same types of mistakes I always make. I am getting better in some ways, I suppose, but writing is a difficult task and though it gets easier the more I do it, I doubt it will ever get easy. If it did, I might find something more challenging to do with my time. My second year of being an author has not matched the excitement of my first year--it's been better. I no longer stay awake at night dreaming of that glorious day in the distant future when some benevolent publishing professional allows me to publish a book. Instead, I sleep so I can wake up early and get on with the business of living that dream each and every day. The shiny newness and passion of the first year of a marriage (brought it all back around) fades, but what replaces it is a relationship that is stronger and steadier and more fulfilling: the day-to-day business of loving each other through good times and bad. Reaching milestones such as the end of the first draft, first revision, copy-edited version that's suitable to print, and so on, have become less thrilling than they were the first time, but they're still a lot of fun. I'm not sitting around in awe of myself that I've written a whole book. Of course I have. I'm a writer; it's what I do. I need to finish this project and move onto the next one. But I still take the same pride and joy in my work as always. Writing is hard, but it isn't like work-work hard. I enjoy doing it and I'm having fun. The Book of David is MY story that only I could tell, told the way only I could tell it. I don't want to hug it close to me the way I do Banneker Bones and the Giant Robot Bees because it's not an especially nice or kind novel, but it scares me (which means it might scare readers) and it is my mind's child and right or wrong, I love it just as much as I love my other books (I'm typing this wearing my All Together Now T-shirt). Whether The Book of David sells a bajillion copies and gets all 5-star reviews or whether it gets universally panned and my own mother returns her copy, I'm still going to write and publish another book and another after that. And I'm still going to be proud of The Book of David. I hope you've had as good a year as I have, Esteemed Reader, and I hope this new year treats us both even better. Sounds like you had quite a 2015~ congrats on The Book of David~ wishing you a smooth-happy release!